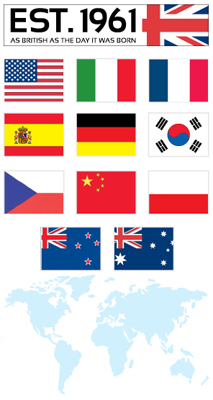 John Guest products are available throughout the world via our subsidiaries and distribution partners. Please select the your country and you will be directed to the appropriate office for your location below. Should there be any queries about which office to call, please contact John Guest in the UK. I consent to my submitted data being collected and stored via this form. The submitted data in this form collects your full name, telephone, email, company, address, country, industry and enquiry. Please click here to view more information about how we protect and manage your submitted data.